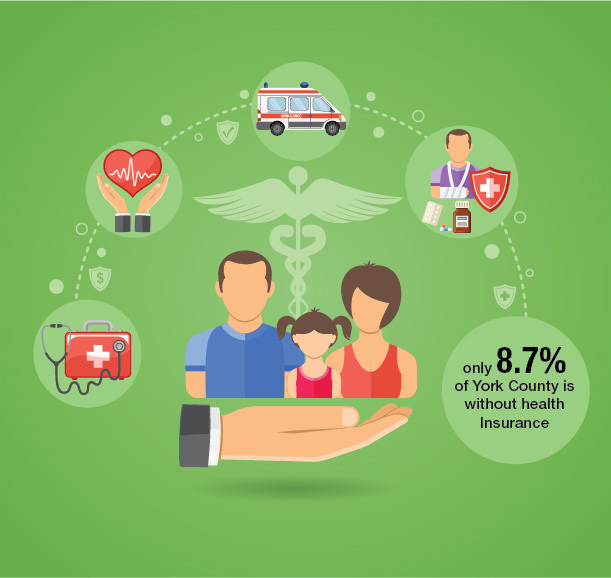 More York County citizens have health insurance, yet the indicators still show growing rates of obesity and increases in documented cases of sexually transmitted diseases. Suicide continues to increase as a leading cause of death in 25-44-year-olds, with a record-high 24 suicides reported in 2014. *For additional health information for York County, please refer to the Healthy York County Coalition's Regional Community Health Assessment here.